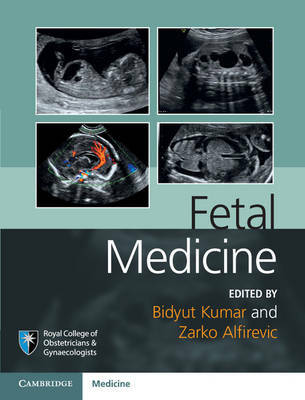 Based on the curriculum of the Royal College of Obstetricians and Gynaecologists' Advanced Training Skills Module in Fetal Medicine, this book provides a comprehensive knowledge base for all doctors practising in obstetrics and maternal-fetal medicine worldwide. It acts as a reference source for the many changing concepts in fetal medicine and is well-illustrated with images of normal and abnormal findings in pregnancy that will facilitate proper understanding of normal and pathological fetal development. Coverage includes embryology, fetal physiology; fetal anomalies; fetal diseases; prescribing and teratogenesis in pregnancy; termination of pregnancy; fetal growth and wellbeing; multiple pregnancy; the placenta and amniotic fluid; and diagnostic and therapeutic invasive procedures. Readers will benefit from the theoretical knowledge and vast clinical experience of the internationally renowned authorship. Overall this book will prepare you for dealing with congenital abnormalities detected during pregnancy, including the organization and supervision of screening programmes for structural and chromosomal anomalies.